This species is accepted, and its native range is Subarctic America to W. Central U.S.A., Svalbard to Russian Far East and Central Asia. Silene uralensis subsp. 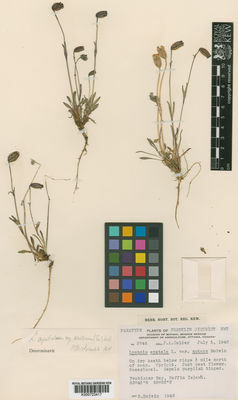 ogilviensis (A.E.Porsild) D.F.Brunt. Lychnis apetala var. attenuata (Farr) C.L.Hitchc. Lychnis apetala var. mollis Cham. & Schltdl. Wahlbergella apetala var. arctica Th.Fr. Hultén, E.O.G. (1960). Flora of the Aleutian Islands and westernmost Alaska Peninsula: with notes on the flora of Commander Islands, ed. 2: 1-376. Weinheim : J. Cramer ; New York : Hafner Pub. Co.